Even as Urban Outfitters continues to market fresh new record players to the masses, record shops seem to be on their way out (RIP, Other Music). So, like everything else, it’s to the digital world we turn: curated record subscription services are moving in with bells and whistles to “disrupt” old-fashioned crate-digging. For example, every month the good folks over at Vinyl Me, Please dig up an often forgotten-about classic, like The Fugees’ The Score, Black Sabbath’s Paranoid or Wilco’s AM, and reissue it with exclusive artwork–for about $23 a month, it’s almost like a fancy, slow-moving Pandora for your record player. 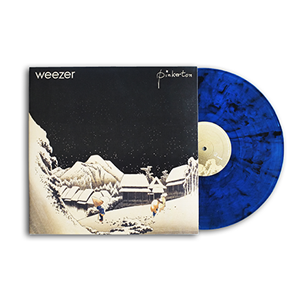 This month they’re reissuing Weezer’s moody Pinkerton and celebrating with The Spins, a listening party at The Gate. A listening party eh? It sounds quaint– a bunch of Weezer-lovers and record obsessives coming together to nerd out over the sweet sounds of ’90s advance guard emo in the basement. “The idea is to replicate the online community that we’ve built in the real world and center it around the album of the month,” said Severan Johnson, one of the partners behind Vinly Me, Please. 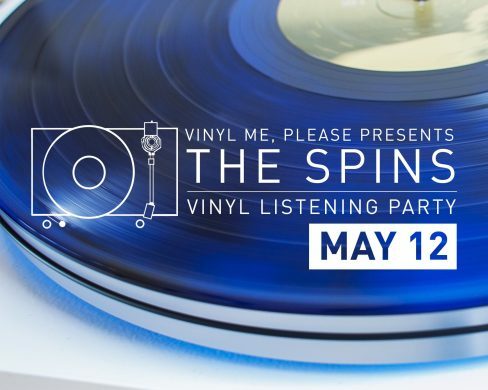 These monthly sponsored listening parties take place all across the country, (in bars, not basements, though), sometimes with live performances or raffle giveaways included. But–hang on a second. Don’t you want to hold a Pinkerton listening party at…well…Pinkerton, the Williamsburg wine bar named in honor of the Weezer classic? “We had already set up The Gate with the Sierra Nevada tap takeover, to tie in with the brewing celebration we’re doing,” said Johnson. Naturally, the combined frisson of cross-platform marketing trumps all. Next month, watch out for the next album release from Vinyl Me, Please. The Spins should take place at Baby’s All Right in June, and in July it’ll be at Terra Firma in Bushwick. And if you’d rather hear some of those Pinkerton songs live, remember that Weezer is coming to the Nikon at Jones Beach Theater on June 30. Pinkerton Listening Party, May 12 at The Gate, 321 5th Ave, at 3rd St., Brooklyn.